To keep an audience focused, use dark colors for background and lighter colors for text and illustrations. The eye is naturally drawn to lighter areas and lighter and warmer colored objects appear closer than dark objects. 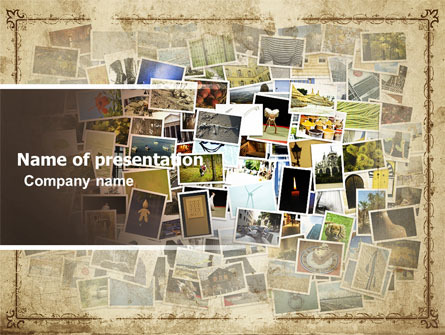 This entry was posted in presentation tips and tagged presentation on December 23, 2013 by pptstar. 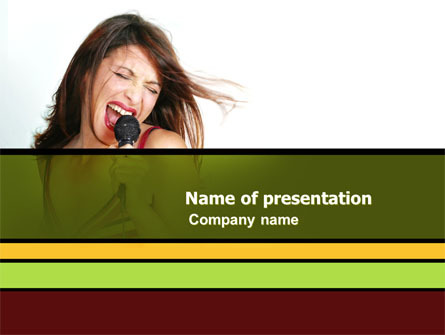 Is PowerPoint the best application for my presentation? 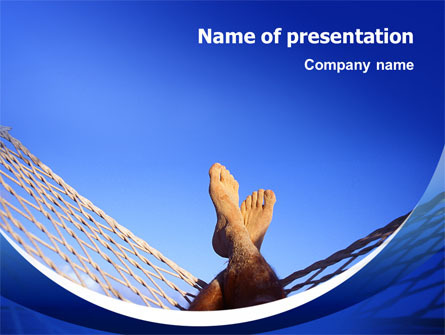 This entry was posted in PowerPoint use and tagged PowerPoint, presentation on December 20, 2013 by pptstar. Interviews can be nerve-wracking enough, from making sure your body language doesn’t put off the interviewer to rehearsing common questions, there’s a lot of preparation to do. If that wasn’t scary enough, some employers now demand you do a presentation as part of the interview process. It’s time to read some handy hints. Rehearsals aren’t just for thespians, dahling, it’s vital that you do as much preparation as possible to conquer any nerves. If you have to do a presentation, you’ll be given plenty of time to prepare in advance, and you must make the most of it. From writing notes and learning as much as you can by heart, to practising the tone of your voice, there’s plenty to think about. Worried you might lose your words once you’re in front of the interviewer(s)? Bribe a friend with a cup of tea and get them round to help you practise your presentation until you’re completely confident. Get your appearance right and the job could be yours. Get it wrong, and you’re sitting on the rejection pile. So find your smartest outfit, give your hair a brush and look your best. After all, you don’t want a scruffy appearance or poor hygiene to leave more of an impact than your presentation. Structure is the most important thing to get right if you want to keep the interviewer’s attention. But the good news is, it can be fairly simple to do. The key thing is not to waffle on. Write the presentation out, learn it and time it. 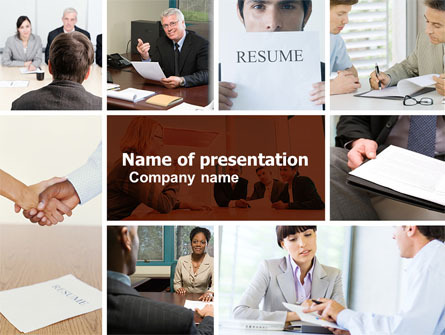 Unless they tell you otherwise, a job interview presentation shouldn’t last more than 10 minutes. 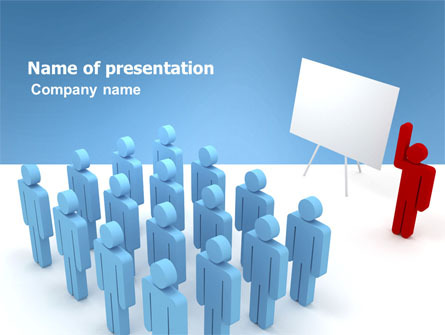 Start with a basic opening : Give a brief overview of what the presentation is about. Elaborate : Follow it up with the main points of the topic you’re talking about. Divide this into numbered points to give the presentation structure. End : Finish off with a short summary and conclude concisely. We know you’re nervous and probably want to get the presentation over with as fast as possible, but resist the temptation to talk too fast. Take a deep breath and speak clearly. You don’t want to be constantly interrupted by the panel asking what on earth you’re saying. If someone did nothing but talk at you for an hour, chances are you’d soon start daydreaming out of sheer boredom, so keep the interviewer’s attention by being as visual as possible. Just make sure you don’t dictate the same lines from your hand outs; remember, you aren’t reading a script. Nobody likes being ignored and if this was a face-to-face interview you’d make sure your body language was perfect and that you maintained eye contact throughout to keep the interviewer’s attention. Just because you’re doing a presentation, don’t think that you’ve cleverly avoided the interviewer’s questions. Chances are they’ll ask about you AND your presentation so be prepared and make sure you know your presentation inside out and back to front. This entry was posted in presentation tips and tagged Career, HR interview, presentation on December 20, 2013 by pptstar. And so, this article. Because we’ve all sat through it, and probably most of us have done it. In early March I posted a request on the Conservation Distlist and made some phone calls to various individuals soliciting suggestions on how to give good talks (and avoid giving bad ones). The opening quotation came from one of these responses, which have been blended, sorted, and edited down to the following compilation. The contributors were: Jim Bernstein, Wes Boomgaarden, Tom Case, Vinod Daniel, Susan Davis, Fiona Graham, John Griswold, Cecily Grzywacz, David Harvey, Kristin Herron, Jane Hutchins, Hilary Kaplan, Molly Lambert, Marcie Landeros, Michael Newland, Debbie Hess Norris, Debbie Rohan, Sarah Starderman, Betty Steckman, Joyce Hill Stoner, and Stephanie Watkins. Those who were not heard from are encouraged to submit their tips. A supplement will appear if enough accumulates. Think of the hours of human suffering you could prevent. Use examples from your own (or borrowed) experiences, tied into of the points you make. Provide varied opinions not just your own. Passion and true life stories are important. Know your audience. Talk at the audience level. Try to get some audience involvement, even if it’s just asking for a show of hands”how many of you have ever tried to write a grant proposal?” Use analogy, metaphor, and simile to link the talk to what the audience knows. If you have time, and it’s appropriate, ask for some anecdotes or ideas, then launch your talk from the points made by the audience. Don’t expect to ad lib on the first page. Do give yourself ad lib challenges later on, unless you cannot do so without going over time and/or if there is simultaneous translation. GOOD ad libs add texture and life to a talk. If you can’t do it naturally, carefully script in a few and practice them until they sound spontaneous. Humor is good if it makes the talk easy to listen to, but questionable if it is offered at the expense of an art or cultural object or a person, living or dead. Use good grammar; don’t say “hopefully” unless you mean “full of hope” as an adverb for the nearest verb. Don’t try to convey all the information (they can always go back to a publication to get the rest if you give them the meat). Thank people in a fresh, real, meaningful way. Avoid cliches. Always have a “button” at the end of the talk so the audience knows when to applaud. If you end with an abrupt “any questions?” the audience feels miffed at not having a “cue”, and if there aren’t any questions the applause can dribble in raggedly. Your closing statement needn’t to be snappy, if snappiness isn’t your style. “And that’s basically all there is to it. I hope you’ve found this helpful. 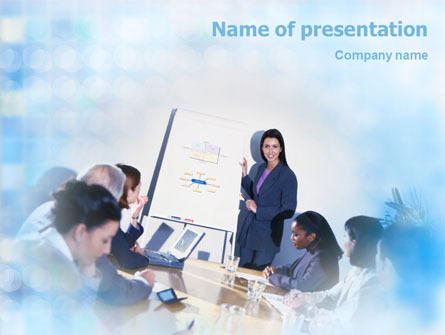 Are there any questions?” will do it for many types of presentations. It tells the audience you’re done, and offers the opportunity to continue the discussion if they choose. If they don’t smile, thank them for their attention and get off the dais. When you become so familiar with your talk that you can’t hear it anymore, become the audience and have someone else stand up and read it back to you. It’s a good way to regain perspective on coherence, flow, etc. PRACTICE! For novice and nervous speakers, the more you practice and are confident in your abilities, the more at ease you will become. Play act to gain that experience! Put on the outfit you intend to wear, introduce yourself (yes, you can applaud), then give your talk in the mirror to yourself. Once you are comfortable with this, graduate to the family pet, then close friends. If you can, audiotape or videotape yourself doing the speech few days beforehand. Review your performance and change what you did not like and work on capitalizing on your strong points. Listen to your voice (ack! ): are you speaking in a monotone? Are the pauses and emphases where you want them to be? If you have a video, look at your posture, hand gestures, movements: are they natural and supportive of your presentation, or distracting? If it isn’t possible to tape yourself, try to enlist an honest friend to be your tryout audience. Listen to that person’s comments and don’t get defensive. Prepared script on a portable computer? Remember to charge the battery just before you go on! Beeping batteries and a blank screen will not help you. Stand up straight. You’ll be more believable. Wear something you know you look good in. It will boost your confidence. Wear loose fitting comfortable clothing and footwear. your comfort will be one less thing to worry about and will transmit to your audience. Some folks take their shoes off (if the podium blocks the view), so slip-ons would be preferred to laced-shoes. Stand comfortably. Try having your feet positioned shoulder width apart for more stability and comfort if the talk is longer (1/2 hour to hour). This braced stance will also help you if you are prone to getting so nervous that you will faint. For podium stand presentations, one is often only visible from chest up. Avoid unusual necklines and bulging ties that can cast disturbing shadows onto your face (especially if you are speaking at a lighted podium stand). Avoid wearing numerous or clunky tie clasps, sleeve studs, bracelets, long necklaces, or “badges on a rope” that can get caught on the microphone or podium, or “jingle-jangle” disturbingly throughout your presentation. This also goes for those who distractingly jingle all the coins in their pockets as they sit or speak. Empty your pockets before your talk if you are the fidgety type. Likewise, leave the pens (clicking on and off, pulling the caps on and off) at your seat. That noise is picked up by the microphone and AMPLIFIED, folks! If you have glasses that you must push up constantly, tighten them. (This suggestion originally came from Sheldon Keck.) If you have hair that falls over your eyes, fix it. Some audience members are really distracted by these things. Be brief. If asked to speak for 45 minutes, speak for 30, and encourage discussion afterwards. It’s better for people to want to hear you longer, rather than to want to hear you less. Never, ever, ever go over your allotted time slot. Be considerate of time limits, a typical guide is 1-2 minutes per slide depending on how much explanation is required. To over-run your allotted time is unfair to the organizers and the audience (who may really want to hear the speaker after you! or make it to another talk). DO NOT go over your allotted time. This is unprofessional and discourteous to both the audience and the arrangements committee. If your talk is too long, do some editing. Checking your luggage? Hand carry your presentation materials (slides, computer, overheads, etc.) and one set of handouts. Your airline or train checked luggage may not materialize on time. Send a facsimile duplicate to your hotel if you’re worried about it. Duplications of your handout can be made locally. If possible, practice in the room where the talk is being given, using whatever equipment you will need. Place a tape recorder in the back of the room and record the speech. This allows you to do a sound check (for volume of voice). Know your equipment, its capabilities, and requirements before you present, or make sure you’ve got someone competent to work them. 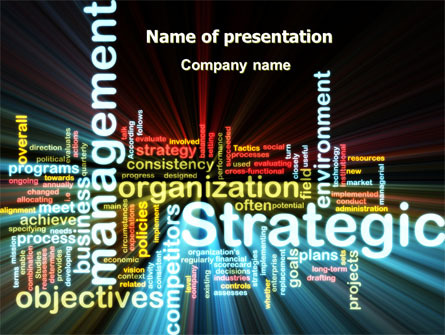 Not too much of a problem with slides, but increasingly, presenters are using computer programs that require too much fiddling while presenting and are often barely visible due to magnification and poor lighting. Find the light switches and temperature controls (and whether they work). Find the janitor or handyman and make friends with him–you may need him in a hurry later. Familiarize yourself with the podium and it’s workings BEFORE it’s time for you to talk. You look very unprofessional up there trying to find the pointer or deciding who is to change the slides. Position the podium (in advance) far enough in front of the screens so that you can actually see what your audience is seeing, and talk about it. If you are shorter than the podium, get a booster step. If you are tall, see if the podium can be raised (many are automatic, yet people never alter them), or if the microphone can be adjusted to accommodate your height. When you first step up to the podium, take a moment to lay out your papers, or simply to take a deep breath and pull yourself together. They’ll wait. Common advice is to begin with a joke to grab the attention of the audience and put them at ease. Starting off with a beautiful or unique image (when speaking to visual people) will also work. Speak slowly and enunciate. If you get caught up in your own words, slow down and simplify. Say the same concept in smaller, more familiar words. Identify words you have difficulty pronouncing and use alternative words. For example, words that get caught on your tongue (e.g. “similarly”) can be replaced with synonyms e.g. “likewise”). Practice foreign words and difficult names until they fall readily off the tongue. You don’t need to fill every available second with the sound of your voice. Take your time. Pauses may seem like millennia to you, but they help the audience keep up with you and digest what you’re saying. Let the silences BE silent. “Um” and “Uh” and other noises to fill silence are distracting. You can use silence to emphasize important points. Consider a mild decongestant to keep the throat and nose clear. Have a glass of water conveniently nearby, but not where you’re likely to knock it over. Have a good visual, but not much dialogue to go with it? Take a drink of water and give the audience time to absorb the view. Talk into the microphone. When you turn your head to look at the screen (if you are a “talk to the images” kind of person), make sure your words are spoken into the microphone. This is true whether the microphone is attached to you or the podium. It is difficult for the audience to follow you when you are alternately LOUD and soft. If you have a prepared script, fold back the upper or lower corner of the pages so they will be easily turned. Loose sheets or cards should be numbered lest you drop them, or, better yet, hole-punched and attached with a metal or plastic ring. You can also staple the left edge of pages of a prepared text like a book and pre-fold it open. This is easier and quieter than trying to flip pages over the top as with a pad, jostling the podium and hitting the microphone in the process. If you are a nervous type that forgets his or her name once on stage, prepare a script with cues for yourself: “break here” “change slides” “smile!” “pause here” “drink here” etc. Put the cues in a different font to remind yourself NOT to say them out loud (a la Homer Simpson). Highlighting generally cannot be seen in a darkened room (highlighters vary, though). After the first few minutes your major nervousness will probably abate and you won’t need the cues as a crutch. Try not to read from a text if at all possible. Know your topic and rehearse it so well that you can speak the talk with your head up. If you have to read from a piece of paper then organize it into discrete two to three sentence groups with the slide cues marked clearly. This way you can quickly look down, scan what you have to say, say it, and go on – all in a very natural and deliberate manner. 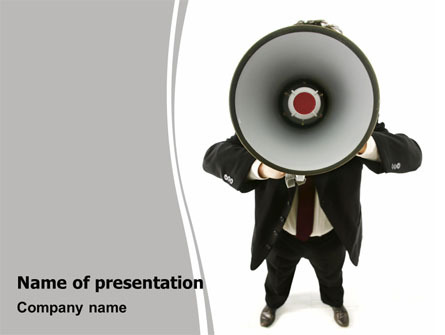 Generally, a spoken talk has more variety of intonation which keeps the audience interested. If you get lost, look at your slide to jog your memory or find your place. 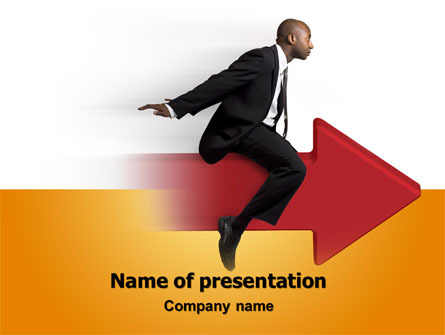 Make sure you do not give your audience a slide to see before you refer to it. They may stop listening to you in their effort to puzzle it out. Stop apologizing! Work with what you have or leave it out. You can state a known problem without apologizing. quot;This slide is dark. Here’s the important area.” (then point). Don’t look at your slides either too long (so the audience sees only your ear) or too little (so that you are out of synch with the visuals). Vary which part of the audience you look at. You can look at the top of everyone’s head and scan the crowd for variety if their eyes looking back at you make you nervous. One old theatre trick to make both your voice and presence fill the auditorium (as well as to reduce nervousness) is to look and to speak to the back wall. This projects your message more clearly and you aren’t disrupting your focus by recognizing people. Try it! Nobody out there can tell that you’re not looking at them! Keep yourself “open” to the audience at all times, another old theatre technique. It may feel really weird and unnatural at first, but it works! Practice keeping your belly-button facing the audience – even when you turn to point to something on the screen. When you point to something always use the arm closest to the screen. Never-ever cross an arm to point, and never-ever turn your back! One technique to make your talks more intimate is to speak in a friendly, relaxed manner, as you would to a friend standing next to you. The audience is your friend, they want to like you and to hear what you have to say. People want to hear the new information, resources, or ideas that you are giving them, they are interested…so keep their interest! Right? If people are coughing excessively or rustling in their seats, you’re beginning to lose them. Change the pace, interject an attention grabber or joke, or wrap it up. Have fun with it and your audience will too. Enjoy it and they will. Long armed folks, take note: If speaking without a podium, keep your hands about waist high if you tend to gesture. This will keep you from looking like an albatross about to take off with your audience’s attention. Make certain your computer hook-up, overhead, etc. works before your presentation. Get there early to give yourself time to set up without rushing. Sans-serif fonts (without feet, like Avant Garde Gothic, Geneva, or Helvetica) are good for words (e.g. identification on a graph) or short phrases (e.g. bullet points). Text arranged in a few sentences (e.g. quote or passage) will be easier to read when shown projected in a serif font (“footed” font, like Courier, Palatino, or Times). Try not to use cursive or unusual font types unless it really, really, goes with the presentation. Color is easier to follow than stark black and white, however, too many colors (e.g. showing off your new computer’s color range) will distract the audience from your message. 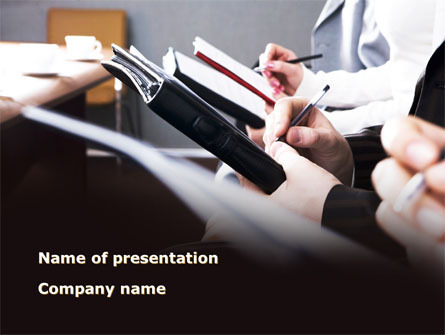 Maintain consistency in the title and word slides throughout, if possible. Neon colors quickly tire audiences. Use them sparingly. Blue, green, and purple are best for projection. Try and match the brightness/darkness of your images. A very dark image next to or following a bright visual will make both more difficult to “read.” It’s hard on the audience when an entire visual presentation is compiled this way. Try not to turn all the lights off, especially after lunch. the best-intentioned audience is likely to nod off, be you ever so interesting. If the room allows it, keep a few lights on along the sides or at the back. It also helps people take notes or keep up with any handouts to which you might be referring. Keep your visuals simple, bold and graphic. People won’t read a page of text on the wall even if they could. And usually, they can’t. If big chunks of text are important for them to see, put it in their hands. General guideline: Keep your slides to two a minute (or 30 seconds apiece). This means that a 20 minute talk with dual-projection should need approximately 40 slides (20 in each carrousel). It takes about 10-15 seconds for a person to quot;read” and adjust to a slide in the dark. Plus, folks often take notes. Exceptions would be a sequential step by step of a procedure where your audience has been introduced to the complexities of the subject matter (i.e. showing the installation progress of an exhibit). Learn to edit. You may have 1,000,000 gorgeous slides, but the audience will not know what they missed if you edit. If you don’t, the audience will remember that you went severely over time and that they didn’t have a chance to appreciate the slides because you went so fast trying to show it all. Use slides that are a little light (over-exposed). In other words, save the (+) bracketed exposures of slides for your talk. They are easier to see in a big dark room. Avoid repetitious monotonous monochrome text slides or graphs. Don’t read the text on the slides word for word. If you have to apologize for a slide, DON’T USE IT! Don’t overuse double blanks you may forget them and get very far behind. DO use blanks if you are going to say a paragraph that does not relate to any slides. Try to have slides mounted in paper mounts. The plastic ones have been known to melt during projection. 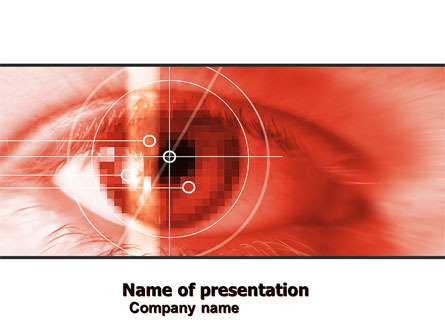 Identify the orientation of your slides with a mark or dot in the lower left corner. This should be visible in the slide tray along the outside edge (or reverse upper right corner) when properly inserted. Stick-on dots can fall off and be lost or jam the projection machine. Number the order of your slides. If you are not carrying them in a carousel but will be putting them in on site, this will help. Inevitably, well wishers and interested parties will try and speak with you while you prepare, distracting you. numbering also helps if you forget to lock the black carousel ring and turn the slide carousel upside-down and the slides all fall out just seconds before you are to speak. Check your slides before you present to make sure they project the correct way! To be presenting and come upon a backwards slide always seems as unprofessional as it is easy to fix. Focus the slide frames by adjusting the relative sizes (vertical and horizontal) to be level with each other and filling the maximum size of the available projection screen or space. It will help your audience focus and flow without tiring. If traveling with slide equipment, bring an extension cord and extra lamp bulb. Tape the remote control to the top or sides of the podium in comfortable, convenient spot so you have one less thing to juggle with and worry about on stage (especially useful with the angled-top podiums). Don’t wait for someone to change the slides for you, unless you have no way of doing it yourself. It takes time, interrupts the flow of the talk, and looks pretentious. A good final test is to see if the visuals could convey the subject without narration – you are telling a story, no matter how technical the subject. Don’t give yourself challenging pointer choreography on the first page when you’re more likely to shake the little light spot all over the place. Balance the pointer with both hands, one elbow on the podium if necessary, or use the side of the podium as a wedge and support to steady the pointer (or you). Remember to release your nervous “death grip” on the pointer’s “ON” button after you have pointed something out. If will help save your battery and light, as well as help your audience stay focused on your talk. Like the bouncing ball in sing-along movies, the audience will follow the pointer and laser dot across the floor, up the side of the wall or ceiling, etc. as you flip your written dialogue or gesture with your hands. This is especially important if you use a laser pointer, as the light should never be directed at a person’s eyes. Please remember to focus pointers that have arrows! Focused arrows are easier and far less annoying to follow than a bouncing light blob on the screen. Point to things you want the audience to notice at the beginning of your slide exposure. If you wait until the last five seconds to indicate with the pointer and say “It is noticeable in the lower left corner,” the audience will have no chance to process the information. 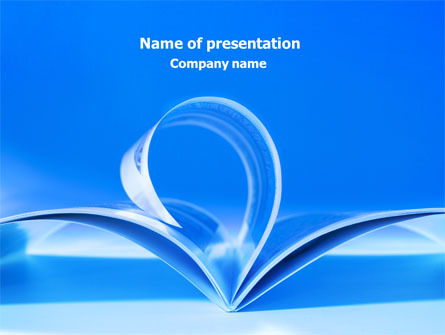 Avoid distributing handouts before or during your talk unless you use them directly in the presentation. If you want the audience to walk away with a body of information, hand it out at the end. Too often a speaker will lose an audience by giving them something else to look at. This goes against a lot of conventional wisdom, but watch the eye contact of the audience when something is handed out…or passed around. If your talk will be very technical with many word visuals and graphs, prepare handouts for the audience with your overheads or slides reproduced in miniature. The audience can listen to what you are saying and write notes on the handouts, instead of frantically trying to copy everything. Duct tape, scissors, and a marker can work wonders in a variety of emergencies. Repeat audience questions so the entire audience can appreciate your answer. Keep eye contact with the person who posed the question. You don’t have to know everything, so don’t try to bluff if someone asks you a question you cannot answer. Admit that you don’t know or can’t recall. Offer to find out if you can follow through, but don’t make promises you don’t intend to keep. If someone raises objections, listen to them intently and politely. Ask for clarification on their point if necessary. Stay open minded. Identify points of agreement, but feel free to reiterate the point of view of the presentation! Diffuse hecklers quickly and politely. A calm, compassionate voice of reason can effectively get them off the microphone or stage. “Sir, I understand your objection. Let’s not take up anymore of the conference time with this issue. I’ll be happy to discuss this with you in private. Next question, please?” Attacking the heckler will only make the audience sympathize with the heckler and make you look bad. Something always goes wrong…Always! Remember that a disaster (slides falling out of the carousel, a faulty podium light, etc) can get the audience on your side if you handle it with grace and good nature. If you know your topic well, relax. Nothing commands authority like confidence, and vice-versa. Presenting information you enjoy and know to a group that is interested in your topic should be a pleasurable and rewarding experience. If the preceding tip bears no resemblance to how things work on YOUR planet, then there’s always drugs. Ask your physician to prescribe a low-dose beta-blocker for you, Inderal for instance. These are drugs which are designed to reduce the adrenaline-related manifestations of fear: the shakes,shortness of breath, elevated heart rate…. It can cause dry-mouth in some people but it can also ameliorate it in others. You can probably get an effective dose with only 1/2 or 1/4 of a 40 mg tablet, taken 1 to 2 hours before the talk. This dose is considered quite small and reasonably safe. Do a trial run well ahead of time to make sure you are comfortable with the physical effects and necessary dose. You could also try the same micro-dose of an anti-anxiety drug, such as Xanax. Ask your doc. For homeopaths: Calms, basically valerian and camomile. This entry was posted in uncategorized on December 19, 2013 by pptstar. 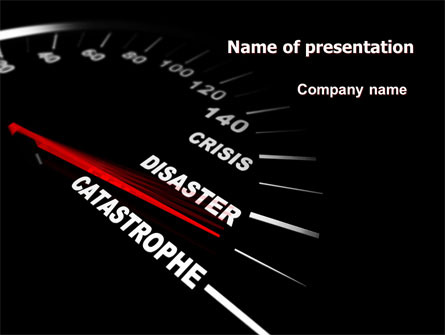 In my time as a senior recruiter I have sat through no small number of presentations. Many of them left me cold. I wondered if the people giving them really understood the purpose of the exercise i.e. 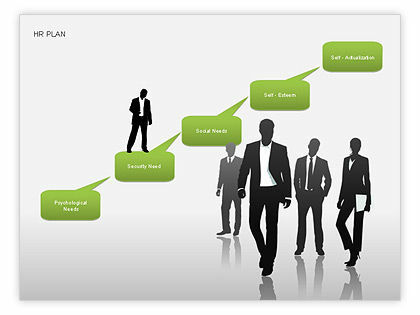 to test in this way is the candidate’s ability to represent and sell an organisation, (and in the process themselves). To test their ability to inspire an audience with confidence. To test an ability to persuade and to demonstrate the ability to marshal thoughts and structure something that sounds really impressive. Showcasing. Convincing. Persuading. Getting the message across. So sitting, as some candidates I have listened to do, in front of a flip chart with some very small handwriting, wiggling across a single piece paper does not really do a deal to impress. Mumbling in a down beat fashion or shuffling pages of A4 on the desk really does not cut it. I also wonder if few people attend any training on presentations or public speaking. Speaking to an audience is one of the most common phobias there is. Why would you volunteer to go on a course to do something that literally frightens you? Suffers feel that all eyes are upon them – “the spotlight effect” – their acute self-awareness makes it very difficult for them to focus on what is going on around them, to remember their speech, or to read from notes. Their mind goes blank or foggy. Their distress is further fuelled by their efforts to hide or mask their discomfort which may become apparent through blushing, facial immobility, sweating, shaking, twitching, or an inability to speak normally or coherently. And in an interview situation where getting the job depends on success it is all much worse. So what should the candidates have do when faced with the task…. ‘you have ten minutes to give us a presentation on…’? Good visual aids, if you have to make your presentation ‘on the day’, and are given flip chart, tuck a ruler and pencil in your pocket. 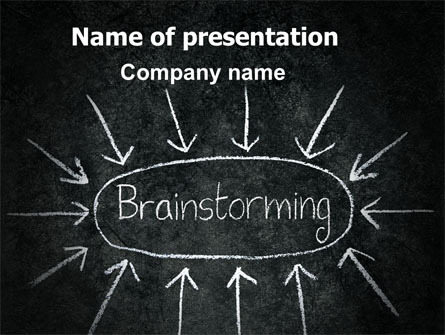 Make your visual aids, helpful, clean and neat. Use them for the emphasis, they should give not for the narrative. If you are given a topic in advance and are using powerpoint, use it sensibly, again it is not the narrative it is the emphasis. Message, if a presentation is testing oral persuasiveness then there needs to be a very clear message or argument with facts and evidence to support it. Ask yourself, what is the the thing that I want my audience to walk away remembering? you also need great content. You need content tailored to the audience and answering the questions they want answering. Speak with conviction, if you don’t believe your message who else will? This entry was posted in presentation tips and tagged Career, HR interview, presentation on December 19, 2013 by pptstar.